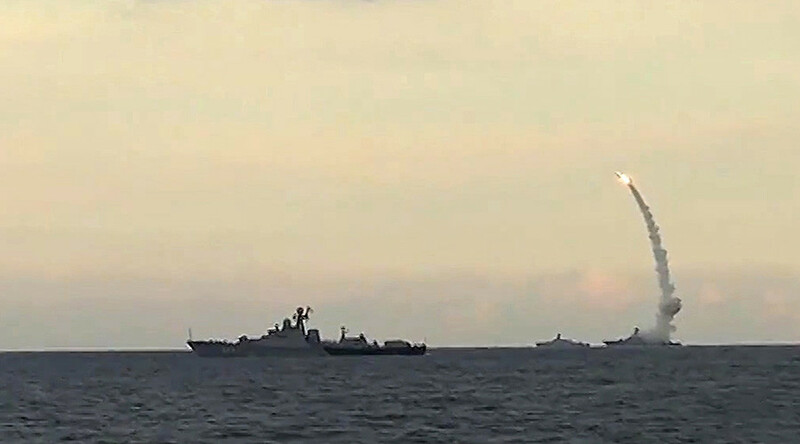 Russian corvettes equipped with Kalibr cruise missile capable of penetrating complex air defenses and hitting targets at a supersonic speed at a distance of some 2,000km will be permanently deployed in the Mediterranean, a Russian Navy admiral said. The vessels from the Black Sea fleet will continue sailing as part of Russia’s naval group in the Mediterranean tasked with supporting anti-terrorist operations in Syria, Commander Admiral Alexander Vitko announced. With a range of roughly of 2,000 km, the supersonic 3M-54 Kalibr missiles is small enough to be carried by submarines and small warships. Furthermore the missile is capable of carrying both a conventional or nuclear warhead and is able to penetrate the enemy’s missile defense systems thus changing the calculus of the reach and effectiveness of smaller navy ships. The weapon saw its first combat use in October, when a salvo of missiles launched from four small Russian warships in the Caspian Sea hit targets in Syria. In December, the Russian Navy used the same long-range, low-flying cruise missiles deployed on board a submarine to strike more terrorist targets in Syria from the Mediterranean Sea. “The new technologically advanced Russian Navy, increasingly armed with the KALIBR family of weapons, will be able to more capably defend the maritime approaches to the Russian Federation and exert significant influence in adjacent seas,” ONI stated. Last Sunday, the Guided Missile corvette Zeleni Dol from the Black Sea Fleet sailed into the eastern Mediterranean to join the Russian naval group deployed off the coast of Syria. Once the cruiser finishes its duty it will be rotated by another corvette called Serpukhov.